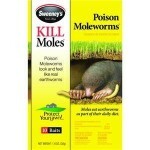 One way to quickly remove your mole problem is to use poison. Whilst mole poison isn’t the friendliest way to encourage your moles to move out, it can certainly be very effective. If you’re looking for a softer approach, perhaps a mole deterrent would be a better solution. 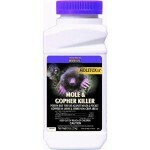 If you just want to get rid of the problem FAST, then mole poison might be the right way to go. Mole poison comes in lots of different shapes and sizes. You can buy gels, liquids, fake earthworms and much more. It can be difficult to work out which is the right product to go for. The interactive comparison chart below goes through some of the most popular and most effective mole poison products available, to help you make the right decision. Below the table, you’ll find a bit more information about the different types of mole poison available as well as some of the other things you need to be thinking about if you go down the poison route. 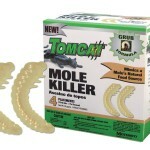 The interactive chart below shows some of the most popular, and most effective, mole poison products available today. I hope you can use it to help find the product that’s best suited to your needs. The value shown in the “Rating” column is based on an average customer rating from Amazon. In some cases, the same product is listed several times on Amazon and each has it’s own reviews. In this table I’ve combined all of the customer ratings from all listings of the same product to give a fairer score. You can click on any of the column headings to sort the products in the table. Earthworms are perhaps a mole’s all-time favorite meal. It’s usually an abundance of worms that has drawn moles to your garden or lawn in the first place. Earthworms flourish in moist, rich soil which tend to be good ingredients for a beautiful garden too. 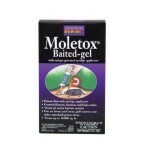 Mole bait is a type of manufactured poison that are pre-formed in the shape of earthworms. The idea is that moles confuse the bait for earthworms, and eat them once placed in their tunnels. Once they do, the poison works quite quickly and the moles tend to die in their tunnels. Moles are always hungry, and a major part of their diet is earthworms and grubs. According to scientific research, moles have a lifespan of between 4 and 6 years and over this time, they need to consume around 2000 earthworms. Therefore, a mole bait is a good option and one which most moles will welcome with open arms (or should that be claws?) 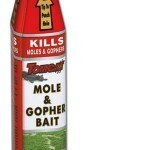 Using a mole bait is quite an easy method of mole control. You simply stick them inside fresh mole tunnels or mole hills and wait. That’s it. Once consuming the bait, moles will die 12-24 hours later. Some experts claim that mole bait isn’t as ineffective as you might expect, because moles eat only live and moving earthworms and aren’t always fooled by the lifeless mole bait. 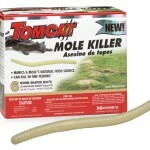 Having said that, there are plenty of homeowners who have successfully removed a mole infestation using bait. As with most poisons, there’s a risk of harming pets if the bait is mistakenly eaten or if a pet eats another critter that has taken the bait. 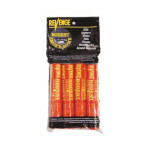 This is probably the most popular and often recommended mole bait on the market today. 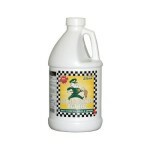 It is manufactured by Bell Laboratories, the leading producer of high end rodent control solutions. 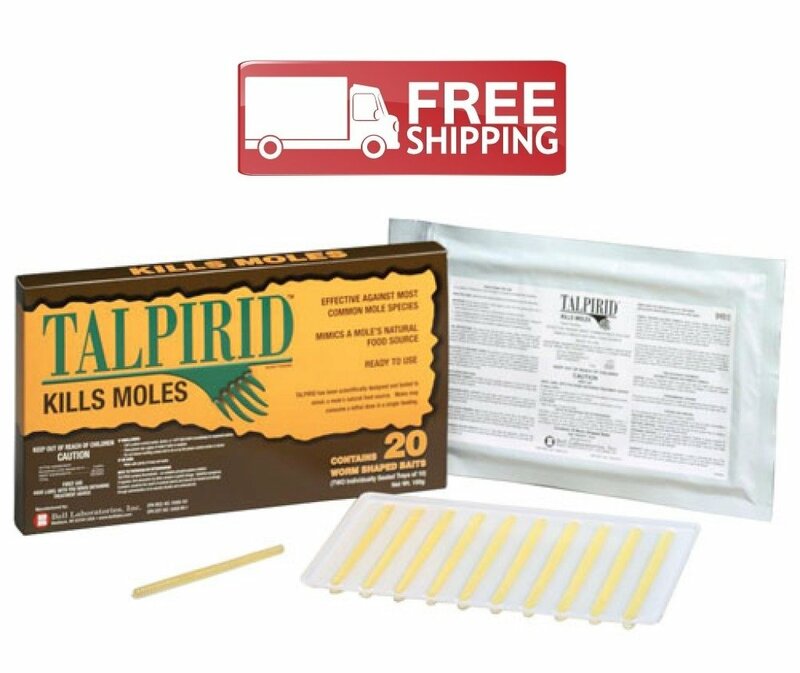 Talpirid Mole Bait is designed and formulated to effectively kill moles in less than a day upon ingestion. It is also made with special enhancers, which appeal to a moles keen sense of smell, that help lure moles into takingthe bait. 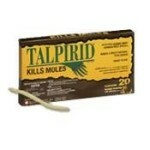 Talpirid Worm Shaped Baits usually cost around a couple of dollars per bait.